George’s interest in pursuing a career in the wine industry was borne during his time studying at Cambridge. In addition to being a member of the University’s Wine Society, his position as an Organ Scholar allowed him access his College’s cellar, which he then diligently spent his way tasting through, sticking to his belief that successful philosophising can be greater achieved after a bottle than before. Cambridge was followed by a brief foray into the world of professional music, but the call of the vine remained too strong to resist, and he began his career in the industry with another of London’s fine wine merchants. Having joined Berry Bros. & Rudd in 2016 as a Wine Educator, George brought with him a particular enthusiasm for the wines of Germany, Italy, Burgundy, and the Rhône. 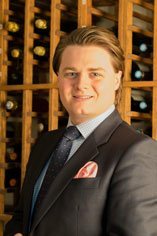 With his eyes set on a path that will not be considered fulfilled until he has achieved the MW, George’s insatiable passion for wine brought him to Singapore in July 2017, where he is now responsible for looking after Berry Bros. & Rudd’s private clients across South-East Asia. Harbouring a deep-rooted belief that wine is never better than when it is shared, he loves nothing more than introducing people to rare, interesting and new bottles, and when sharing a table with like-minded oenophiles he brings together his passion for performance with a desire to bring the world’s best wines to its most discerning collectors. 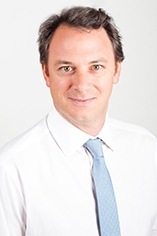 Vinny joined Berry Bros. & Rudd in Singapore in October 2012 after roles in various diverse fields. Vinny manages the office and is the key liaison with our logistics team and handles customer service enquiries, as well as assisting Nick Pegna directly. 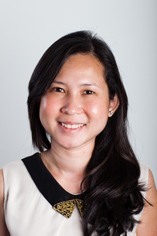 Away from the office Vinny enjoys good food, swimming, reading and spending time with her family. 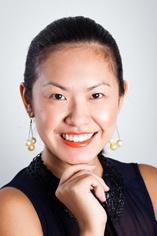 A Hospitality Management graduate from Temasek Polytechnic, Cris started her career in events management. Cris's interest in wines developed further when she joined the wine trade in 2008, managing both private and on-trade accounts since then. A Certified Specialist of Wines (CSW) from the Society of Wine Educators, Cris is also the proud recipient of the Bodegas Torres Wine Scholarship in 2012. Outside the world of wines, Cris loves soaking up the sun and is an avid scuba diver. She is an amateur tuba player who enjoys the Arts and is a great fan of Antonio Gaudi and Salvador Dali.